Not good! So, what’s the alternative? In an unfortunate case, you can’t fit your Blue Yeti on the stand. In the worst case, the stand gives in and your mic crashes on your desk. Ouch! 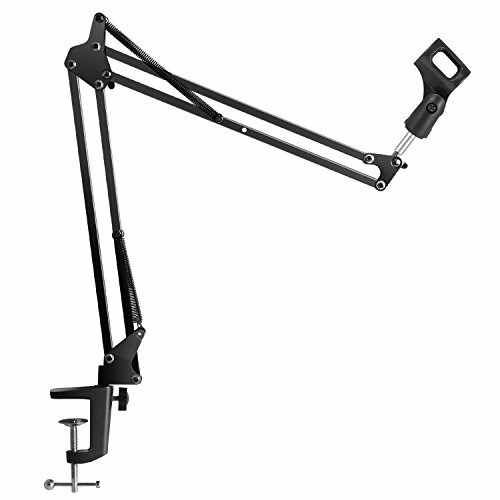 The Rode PSA1 is the most popular boom arm for the Blue Yeti for professional use. A lot of of big YouTubers and successful podcasters use this stand since it’s high quality and can support heavier mics. The downside is its heftier price tag. But hey, quality comes at a cost. Get the RODE PSA1 here. An alternative to the RODE PSA1 is this﻿﻿﻿﻿﻿ ﻿﻿bundle by Auphonix. It contains a boom arm, a shock mount and a pop filter - all designed for use with the Blue Yeti, which is pretty convenient for our situation. The manufacturing might not be as slick as the RODE PSA1, but it definitely does what it should do. And the great news: It also comes with a shock mount and a pop filter. Way to save some time and money! 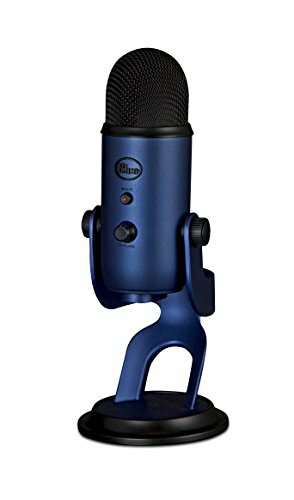 Are you looking for a Blue Yeti mic stand? This is your budget solution. Like the Auphonix boom arm, this InnoGear stand was built with mics like the Blue Yeti in mind. What you can’t expect here is a super higher grade solution. It can seem somewhat filmsy, and in some cases, customers have reported problems with the plastic adaptor. However, if you don’t use your mic every day, this stand by InnoGear might be all you need. Check the price of this stand on Amazon! W﻿﻿hat’s a ﻿﻿shock moun﻿﻿t, anyway? A shock mount absorbs low end rumble so it doesn’t end up in your audio. Where would that low end rumble come from? It can come from handling your boom arm, for example. But it can also be transmitted through the desk on which your stand is mounted. 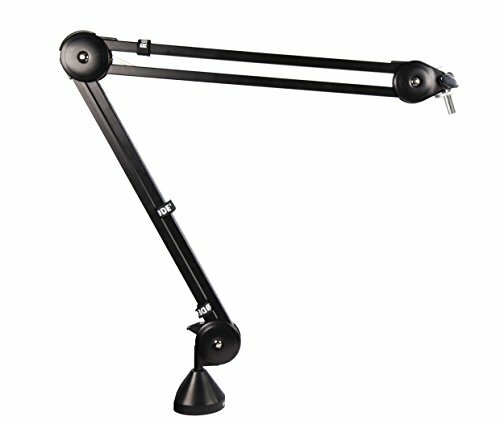 When you’re moving your arm on your desk or hit one of its legs with your foot, low end noise will usually travel through the boom arm to the mic.If you want to have maximum freedom while recording, getting a shock mount for your mic is something you should definitely think about. In the comments, let us know which Blue Yeti mic stand you’re using and if you’re happy with your current setup. This article is very informative! This information could’ve saved me a couple hundred bucks from having to try all kinds of microphone stands out, although I got mine early 2017.